What is the cheapest way to get from Corbridge to Consett? 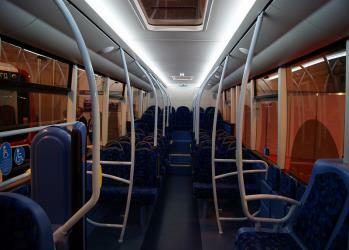 The cheapest way to get from Corbridge to Consett is to line 689 bus which costs £2 - £3 and takes 49m. What is the fastest way to get from Corbridge to Consett? The quickest way to get from Corbridge to Consett is to taxi which costs £40 - £55 and takes 20m. Is there a direct bus between Corbridge and Consett? Yes, there is a direct bus departing from Dilston, Hall gates and arriving at Consett, Bus Station station. Services depart once daily, and operate Monday to Saturday. The journey takes approximately 49m. How far is it from Corbridge to Consett? The distance between Corbridge and Consett is 11 miles. The road distance is 15.5 miles. How do I travel from Corbridge to Consett without a car? 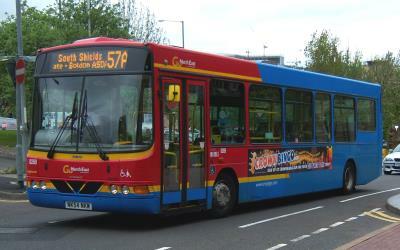 The best way to get from Corbridge to Consett without a car is to line 689 bus which takes 49m and costs £2 - £3. How long does it take to get from Corbridge to Consett? 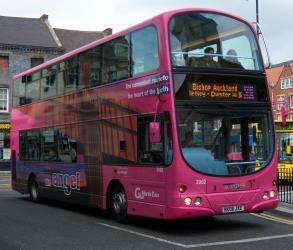 The line 689 bus from Dilston, Hall gates to Consett, Bus Station takes 49m including transfers and departs once daily. Where do I catch the Corbridge to Consett bus from? Corbridge to Consett bus services, operated by Go North East, depart from Dilston, Hall gates station. Where does the Corbridge to Consett bus arrive? Corbridge to Consett bus services, operated by Go North East, arrive at Consett, Bus Station. Can I drive from Corbridge to Consett? Yes, the driving distance between Corbridge to Consett is 15 miles. It takes approximately 20m to drive from Corbridge to Consett. Where can I stay near Consett? There are 730+ hotels available in Consett. Prices start at £49 per night. What companies run services between Corbridge, England and Consett, England? Go North East operates a bus from Corbridge to Consett once daily. Tickets cost £2 - £3 and the journey takes 49m. The Tanfield Railway is a heritage railway in Gateshead and County Durham, England. Running on part of a former colliery wooden wagonway, later a steam railway, it operates preserved industrial diesel and steam tank locomotives. The railway operates a passenger service on Sundays all year round, as well as demonstration freight trains. The line runs 3 mi between a southern terminus at East Tanfield, Durham, to a northern terminus at Sunniside, Gateshead, with the main station, Andrews House situated near to the Marley Hill engine shed. A halt also serves the historic site of the Causey Arch. The railway claims to be "the world's oldest railway". Gibside is an estate in the Derwent Valley in North East England. It is between Rowlands Gill, Tyne and Wear and Burnopfield, County Durham. Gibside was previously owned by the Bowes-Lyon family. It is now a National Trust property. The main house on the estate is now a shell, although the property is most famous for its chapel. The stables, walled garden and Banqueting House are also intact. Rome2rio makes travelling from Corbridge to Consett easy. Rome2rio is a door-to-door travel information and booking engine, helping you get to and from any location in the world. 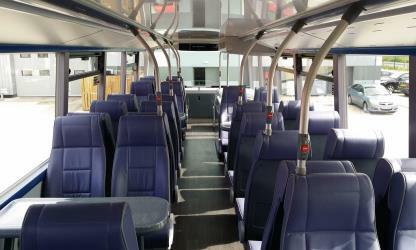 Find all the transport options for your trip from Corbridge to Consett right here. Rome2rio displays up to date schedules, route maps, journey times and estimated fares from relevant transport operators, ensuring you can make an informed decision about which option will suit you best. Rome2rio also offers online bookings for selected operators, making reservations easy and straightforward.